What is something you are thankful for or are celebrating? Give praise and thanksgiving to God! Where are you experiencing stress or anxiety? Where would like to see God move in your life or in the life of someone close to you? Ask your group to be praying with you about that. 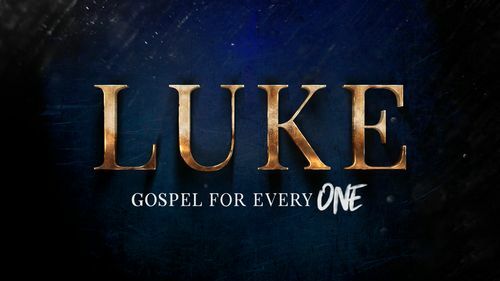 Read Luke 8:1-3. Describe the role or place of women in the Roman Empire? How was it different than the role or place of men? Compare the role or place of women in our society to that of women in the time of Jesus’s ministry. What does this passage seem to be saying about the character and priorities of Jesus? Is there anything in this passage that challenges you to do something or change something to be more like Jesus? Read Luke 8:43-48 and Luke 13:10-17. Compare and contrast these two instances of healing. How are they similar? How are they different? What do these stories tell you about the character and priorities of Jesus? What point do you think Luke is trying to make about Jesus by relating the story of Jesus healing the woman with a discharge of blood? What point do you think Luke was trying to make about Jesus by relating the story of Jesus healing the woman with the disabling spirit? Who do you know that is suffering with a chronic illness/condition/pain? Spend some time in your group praying for healing and restoration for each person mentioned. What does it mean to say a person’s dignity and healing are found in the presence of Jesus and in following Jesus? Read Galatians 3:26-29. Chris mentioned that Jesus’s life and teaching have had an enormous positive impact on how women are viewed and treated in our culture. Do you feel like your attitude and behavior towards others who are different than you has been more impacted by Jesus or the surrounding culture? Why? Is there a group of people that you view or treat as somehow lesser than yourself? Why? Do you think Jesus shares your attitude towards that group of people? If not, what can you do to bring your attitude into alignment with His? Chris said that these stories help us to see that Jesus was working to help people recover who they are in God. How can we help people recover who they are in God? In the next 24-48 hours, what simple next step could you take in obedience to what you’ve learned from your time in God’s Word? Who would benefit from hearing what you’ve learned this week? Will you share it with them?